Welcome to Ignition Driver Training. 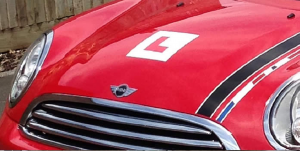 If you are looking for a driving instructor in Nottingham, with a Mini Cooper, then you are looking in the right place. Our expert driving lessons come highly recommended in the local area, and we have a high first time pass rate. All you need is a provisional driving licence to get started. Once you have one these, then we can get you on the road to learning a skill for life, staying safe and passing the all important test. As a driving instructor I specialise in helping nervous beginners of any age, so don’t be afraid to give it a go. Learning to drive can help to enhance your opportunities in life, both in your career and personal life. If you are ready to get started, why not call or message today and we can discuss your requirements.